@DJScottyFox: Tom Clancy and Kiefer Sutherland were right. @lilbearlawson: I’m watching The Lost Boys, and I’m reminded of A. How much I love this movie and B. 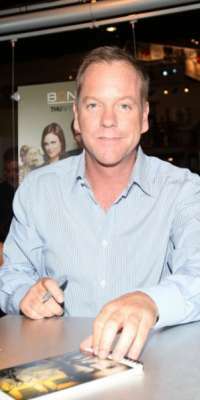 How much I love Kiefer Sutherland. @Bravewriting: RT @David58155793: @Bravewriting Sutherland is dead, could always replace him with his son Kiefer.